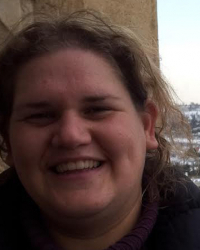 Dr. Merav Stern, a Hebrew University alumna (B.S., M.S., Ph.D.) is the recipient of a highly competitive postdoctoral study abroad grant through the Mortimer Zuckerman STEM Leadership Program. The STEM Leadership Program, which advances research excellence in science, technology, engineering, and mathematics, provides select opportunities for top Israeli researchers to conduct their postdoctoral work in the United States. Dr. Stern, who is developing her expertise in the field of applied mathematics in relation to brain sciences, is currently pursuing her postdoctoral research at the University of Washington in Seattle. She received her Ph.D. from Hebrew University’s award-winning Interdisciplinary Center for Neural Computation, in collaboration with Columbia University’s Center for Theoretical Neuroscience. Her Ph.D. dissertation won the Wiener prize for excellence in research. Dr. Stern is striving for a deeper understanding of how our brains process information. Her work seeks to identify brain areas that alter their activity during the course of learning a visually-guided behavioral task. She further characterizes these changes and provides assessments for each area of the brain, observing the intrinsic changes in comparison to alterations produced by external influences from other cortical areas. Her unique scientific approach incorporates a theoretical aspect to the study of neural network activity. These pioneering investigations are taking place within the framework of the Sackler Scholars Program in Integrative Biophysics. Under the auspices of this program, Dr. Stern launched a new collaboration between researchers at the University of Washington and experimental laboratory scientists at the Allen Institute for Brain Science in Seattle.